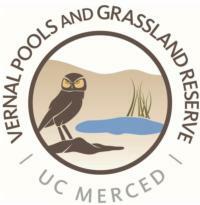 The UC Merced Vernal Pools and Grassland Reserve in partnership with the Merced County UC Cooperative Extension Office and Upper Merced River Watershed Council will offer another California Naturalist certificate training in spring 2018 on the campus of UC Merced. Students in the California Naturalist Program will become part of a committed corps of volunteer naturalists and citizen scientists, equipped with the skills needed to take an active role in local natural resource conservation, restoration and environmental education. This 10-week training combines science instruction with guest speakers, field trips, and project-based learning to explore the unique ecology and natural history of the San Joaquin Valley and central Sierra Nevada foothills region. This course will cover basic ecology, watershed concepts, geology, wildlife, plant communities, and global environmental issues, as well as tools for collaborative conservation and communication. There will also be opportunities for bird watching, wildflower identification, sketching, and journaling! Thursday evening classes will be held at UC Merced, and four Saturday field trips will be held in representative areas of the San Joaquin Valley and the Sierra Nevada foothills. 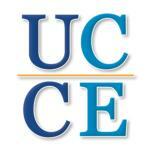 Course instructors are UC Merced faculty and other regional experts. Upon completion of the course, students will receive the UC California Naturalist’s certificate. Download the course flier here. Spring 2018 Schedule: February 15- April 26, 2018. Classes will be held every Thursday evening (5:30-8:30 pm), except March 29 (UC Merced’s Spring Holiday), for ten weeks. There will be three Saturday field trips: February 24, March 31, and April 1 (9am-2pm). Course Fee: $350, includes the California Naturalist Handbook (de Nevers et al. 2013) and another surprise book! Upon completing certification requirements, participants are eligible for four academic credits through UC Davis Extension for an additional nominal fee. Registration/Scholarships: Registrations and scholarship forms are available on the website. There are a limited number of partial scholarships! Please fill out both forms as soon as possible if you are interested in a scholarship. Early scholarship deadline: Thursday, February 1, 2018. Registration deadline: Thursday, February 8, 2018. Contact: For any questions about the course, please visit our website or contact Monique Kolster, course coordinator. For any questions about registration, please contact Cathy Marks at the UC Cooperative Extension Merced Office (209-385-7403).